There are eight friends M, N, O, P, Q, R, S and T who studies in different classes, viz 11th, 12nd, 8th, 4th, 5th, 6th, 7th and 9th. 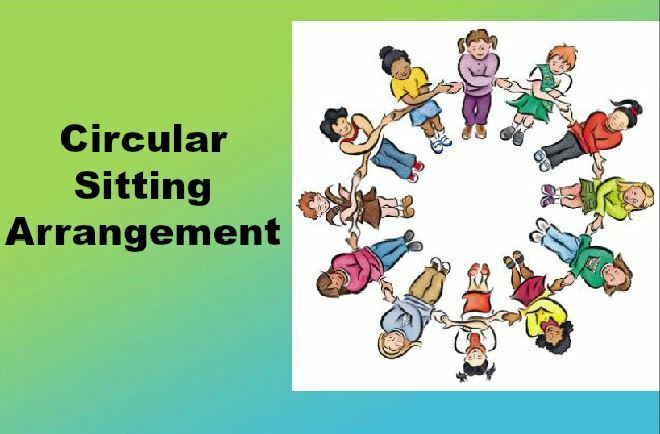 All of them are sitting around a circular table facing the centre. R sits third to the right of O and studies in class 9th. 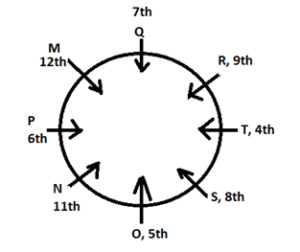 Q sits second to left of P, who is not an immediate neighbour of either R or O. The one who studies in class 11th is an immediate neighbour of P. Three people sit between O and the student who studies in class 7th. O and R does not studies in class 12th. Only one person sits between the student who studies in class 12th and N. Students who studies in class 8th and 4th are immediate neighbours of each other. R is neither in class 4th nor in class 8th. Only one person sits between T and the student who studies in 5th class. T does not study in class 12 or 8th. S does not study in class 12. The immediate neighbours of O and R does not studies in Class 12th. O studies in class 5th. Who among the following sits opposite to T? Who among the following studies in class 8th? M studies in which class? Who among the following is/are an immediate neighbour of P? N studies in which class? 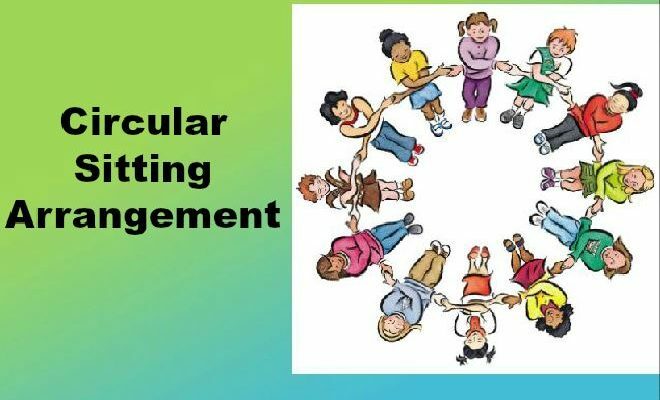 In a family, there are eight members S, V, B, I, R, E, O and A are seating around a circular table, facing the centre but not necessarily in the same order. Each of them likes a different cartoon characters – Pink Panther, Daffy, Tom, Jerry , Coyote , Tweety, Road Runner and Homer Simpson. 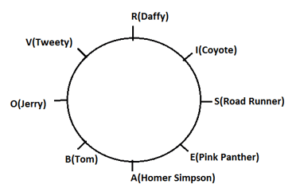 There are two persons between the persons who like Pink Panther and Daffy and neither of them sits opposite to S. B and E are not immediate neighbours and neither of them likes Homer Simpson or Daffy. S, who likes Road Runner, sits second to the right of the one,who likes Homer Simpson. V and R neither like Homer Simpson nor sit adjacent to S. R, who likes Daffy, sits second to the left of O, who likes Jerry . B does not like Pink Panther. The immediate neighbour of R faces B, who sits third to the left of the one ,who likes Road Runner. E does not like Homer Simpson. Both I and A do not like Pink Panther and Tom. V likes Tweety while I likes Coyote. V is not an immediate neighbour of S.
Who amongst the following is the favourite cartoon character of A? Tom is the favourite cartoon character of which of the following persons? Who among the following sits exactly between S and A? Which of the following statements is/are true about V? Four of the following five are alike in a certain way based on the given arrangement and thus form a group. Which of the following does not belong to that group?